Now that our family is no longer under the same roof, participating in each other’s hobbies and interests is not as easily accomplished. No longer can we plan a Monday night family evening together to learn about humor one another in our latest obsession and anticipate it within a week’s time. The purpose of this blog is to provide a way for our family to collaborate together in what we love, and to also expose our quirky (and hopefully somewhat entertaining) personalities through our fierce dedication to bettering ourselves at many different things. Some of our hobbies that we write about include but are not limited to: cooking, nutrition, music, technology, etc. Pam SAM Packard to be exact! I was born Pamela Rae Sam. My dad insisted on using the middle name “Rae” because he says that when I was born, I arrived on a ray of sunshine… literally. Apparently it was a dark and rainy day, and when I was born the delivery room lit up. At least that’s the way the story goes 🙂 My parents insisted that I be called Pamela when I was younger. It was ’round about 4th grade when my fellow students began calling me Pam Sam and the name stuck. I happily married to the love of my life going on 27 years now. It’s been a blur of happy memories and fun. We have 5 gorgeous, talented, fun, sincere, smart, and crazy children, one son-in-law and one wee baby on the way! YIPEE!! At this point our 3 oldest live in Utah and attend school and work and such. We have one serving a two-year mission for our church in the Philippines and one solo at home. He is 16 and plans to graduate early and head up to Utah as soon as June 2015. Ya…. so this blog may become a bigger outlet than I anticipated. I miss my children and their wonderful company. I teach 7th grade ELAR (English Language Arts Reading) at Vidor Junior High School. I adore my students (each and every one of them… past and present) and feel that I have the best co-workers in the entire world. So with that in mind… I LOVE reading Young Adult Fiction. I am member of the Church of Jesus Christ of Latter-Day Saints (Mormon) and it is a HUGE part of my life. I know it, I live it, I love it!! Message me if you would like to know more. Living the precepts of the gospel have made my life so happy and complete. I love to cook, and mostly for health! Don’t gripe at me though if I throw some recipes out there that might not be so healthy. I just want to have an avenue to post things that my children can access, and a place where things won’t get lost. I also love to exercise although I could use some motivation at the moment. I love to feel my body move. My life is exciting–just not in the glamorous, romantic kind of way that most of your cute-sy, artistic, mommy blogs portray so beautifully. I hope to get there one day, so I must demand a little patience. Until then, we’re gonna have to rely on a little bit of personality, capeesh? My photography is amateur. OK, it’s just plain stinky. But I’m learning. Any diplomatic words of advice and direction from all you pro photo-takers would be much appreciated. I can’t afford a fancy camera yet. 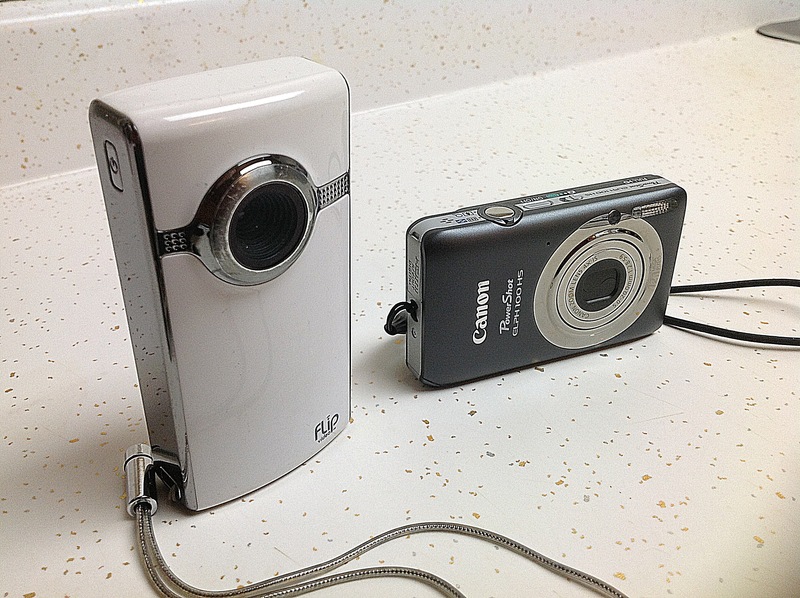 I just have my point-and-shoot and dependable flip, which is not always so dependable. My humor is a bit goofy. I laugh at small things, so if I try to be funny and don’t succeed, well now you know why. My apartment is small, I’m not rich and famous, and I don’t have much in the way of worldly possessions. So I won’t be blogging about my time share, house boat, new car, or really really fancy dining ware. I truly believe that I’m the luckiest girl out there. I’ve traveled the world several times, I’ve been a national finalist at something, and I have the best husband, family, and in-laws anyone could ask for. I’m 25, and still have a long life ahead of me. I am passionate about music, nutrition, reading, writing, and learning new things. I dare you to tell me something is impossible. After I prove you wrong, I hope you believe that you can do anything.